oving to a new country, temporarily or permanently, is daunting and exciting from so many angles. Not only in terms of logistics, but also because you have to create a whole new set of friends and face a stunning array of changes in lifestyle, including what foods are available and how you eat. From a health point of view, immigrating brings on challenges that touch on many areas of life: eating, work style, stress levels, personal relationships, exercise/movement, for starters. One of my clients, Paola, had trouble dealing with the continuous availability of food. This was a new environment for her to learn how to navigate. Every new food seemed to be “calling her name”. Being eager to learn more about her new country, she tried many foods, did not pay attention to portion size, and six months after her arrival had gained a significant amount of weight. When she missed her home country or felt stressed or lonely, she’d go home and eat more food. Working together, she was able to regain her pre-arrival weight and avoid health consequences. Pick two or three areas you want to move to the next level and start making small changes towards radiant health - and celebrate your incremental successes. Eating is the central pillar of health; not because only because food gives us the right nutrients to fuel our bodies, but also because it is tied to social connection, tradition, our childhood/family, and even religion. While it is important to eat foods that feed your body, they also need to address your innate need for pleasure. As a French-born gourmande who immigrated to the United States before gourmet foods were available, I understand those challenges. 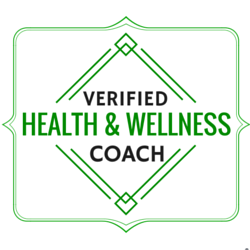 This is why, as a health coach, I specialize in helping foreign professionals reach their health goals and integrate their culinary heritage in their American way of life. I believe that the reason diets fail is because they are too restrictive and contain many foods people do not even like; thus, I encourage my clients to pick love that they love AND that are nutritious, so their they can keep their new regimen for the rest of their lives. What else can feed you? Find another way besides food to reconnect with your culture. For instance, organizing a get-together of fellow countrymen; reading a book in your language; or seeing a movie from home. More Home Cooking: Cook more food from your homeland on a regular basis to help you avoid overeating foods you may not really like anyway and to reduce your dependency on processed foods. Mix and Match: Develop ways to integrate U.S. ingredients into your culinary traditions or vice-versa, for instance sprinkle home spices on top of American dishes. Size Matters: Pay attention to serving sizes, especially when eating out. Remember that it is totally acceptable to ask for a “doggy bag” and take uneaten food home. When home, use smaller plates. New Reactions: Keep in mind that your body may react to foods differently in the U.S. For instance, I have trouble digesting American dairy products but not European ones. Animals are raised and foods processed differently. Small Changes: Pick two or three areas you want to move to the next level and start making small changes towards radiant health. Celebrate your incremental successes. You’ll be happier, your stress will decrease, you’ll sleep better and have more energy: that will make you healthier! For instance, you could aim to chew your food twice as long, drink two more glasses of water per day, walk an additional 15 minutes a day. These are examples; be sure to set YOUR OWN goals, your own changes. You are the expert on you!